When shooting subjects at long distances, as you may do for your kids’ sporting events or out at the wildlife refuge, having good technique can be the difference between disaster and a sharp shot. It’s important to have an understanding of photography and how your camera takes a picture, but even then, you can still run into problems if you are less than rigorous with your technique. 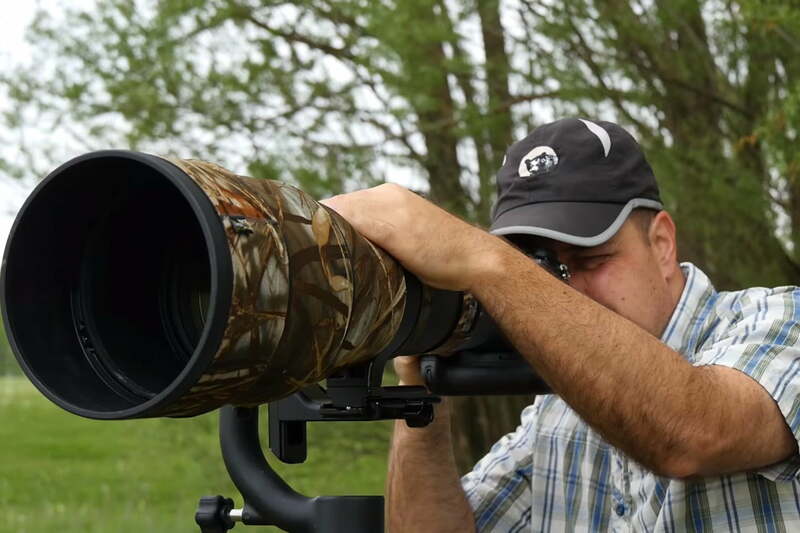 Steve Perry is an accomplished wildlife photographer, and his latest video over on YouTube is just what you need if you have been struggling to get clear and sharp images when shooting at long distances with your telephoto lenses. Before going any further, we want to point out that in the video Steve is standing next to a very expensive $9,000+ lens. You do not need to have one of those in order to take advantage of this technique — Tamron and Sigma both make very affordable 120-600mm telephoto zoom lenses that could benefit from it, not to mention 70-200mm and other similar lenses that also have a tripod collar. Now that we have that out of the way, many of you will likely not have a gimbal head, as they can be expensive and unless you shoot a lot of long telephoto lens shots you are probably better off with a standard ball head. In the video, Steve starts by going over the technique with his gimbal, but later in the video he shows you how to do it with a standard ball head as well. This technique and others similar to it have been used by professional sports and wildlife photographers for decades, and if you want to get better results with your camera/lens combination, who better to learn from than a pro who is out there doing it on a daily basis.